Audio is a big part of AtmosFX Digital Decorations. 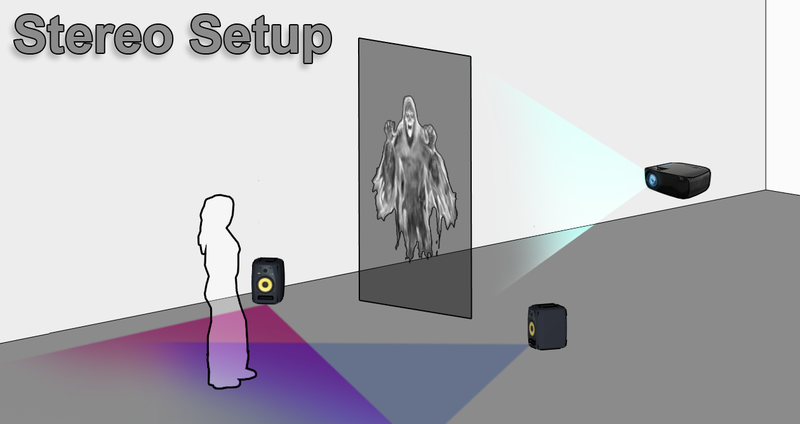 Some decorations may only feature background music, but many feature fully designed sound effects or even dialogue. When you set up your decorations outside, you'll probably want to use outdoor speakers to really sell your effect. To get started with your audio experience, let’s consider whether your speakers will be wired or wireless. Most decorating devices like projectors, TVs, and media players will feature a ⅛” (3.5mm) audio jack, like the kind you use for headphones on a phone or MP3 player. 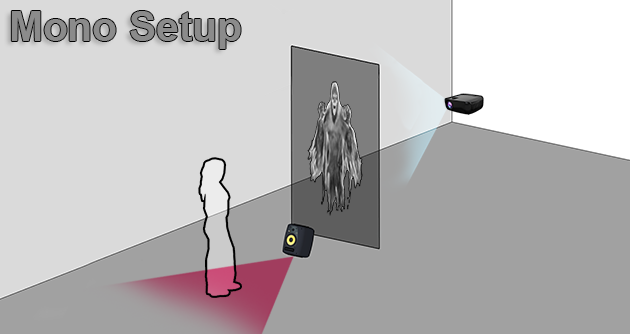 With an audio jack, either of these options are possible. Wireless options include Bluetooth enabled devices and FM radio transmitters. Keep in mind that Bluetooth connections can occasionally create a small lag between your audio and video, which means your audio may seem slightly out of sync. However, this is not a problem for all Bluetooth connections and usually isn’t noticeable.If you need wireless sound with perfect audio sync, an FM transmitter may be a better solution. If you want to use a Bluetooth setup, be sure you can pair your decorating device with a Bluetooth speaker. If your decorating device is not Bluetooth enabled, you can purchase a Bluetooth transmitter that will connect to your device’s audio jack. If you have any trouble getting your Bluetooth to pair or transmit, click here refer to our Bluetooth troubleshooting article. 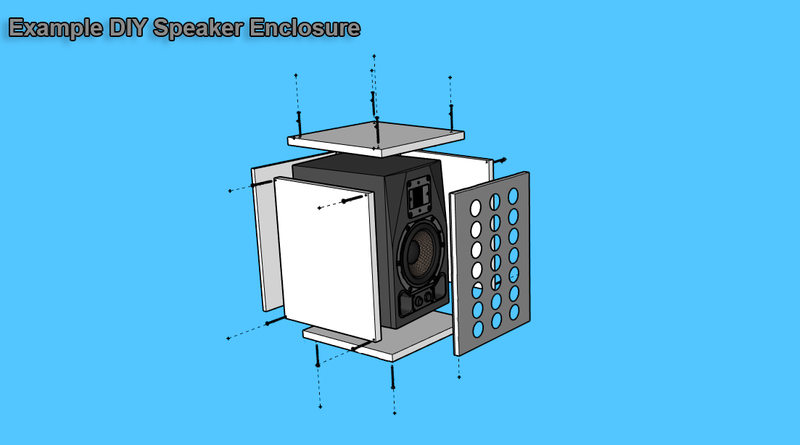 Even very simple speaker systems can really improve your display. Make sure to carefully consider your needs and the specifics of your display before you purchase any equipment. With a little thought and planning, audio will greatly increase the drama and power of your AtmosFX digital decorations. If you are proud of your outdoor display, send us some pictures. A short email to our team could make you the next AtmosFan of the Week winner, earning you prizes, and a feature on our blog. Just send your photos and/or videos with a brief description to community@atmosfx.com with the subject line "AtmosFan of the Week".